10x15cm, acryl, gold, resin, canvas. 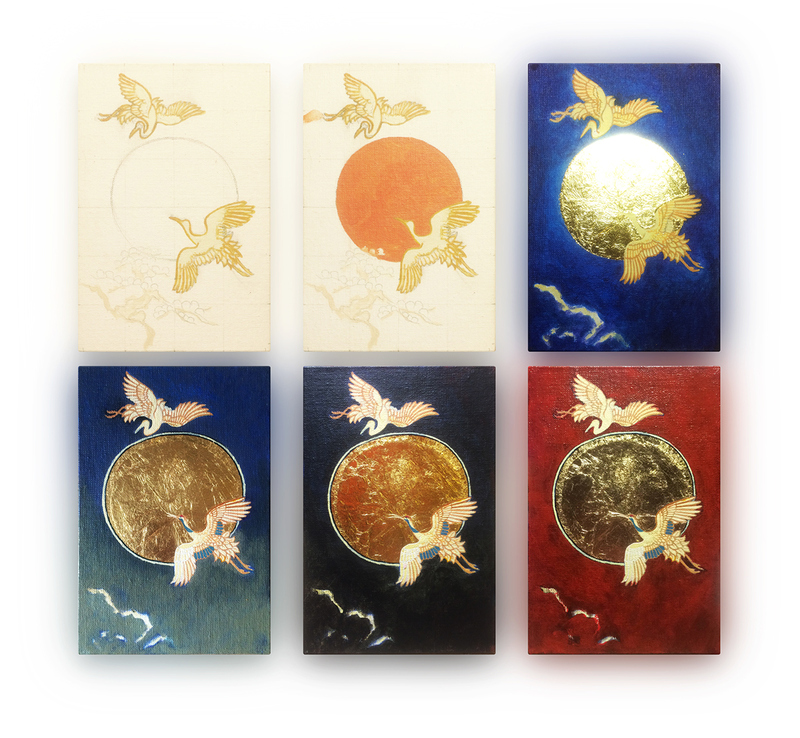 Author's replica technique on Japanese ukiyo-e style easel graphics. 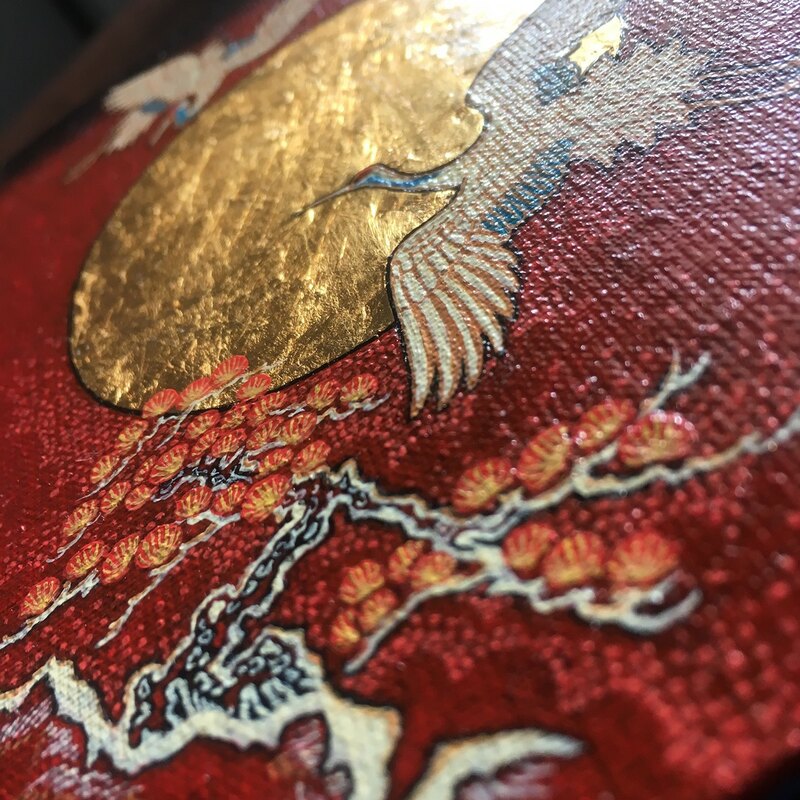 Ukiyo-e is a popular Edo era style and source of inspiration for all European painters of late 19th and early 20th century who worked in the style of cubism, impressionism, post-impressionism, such as Vincent van Gogh, Claude Monet and others. The Sunrise — 10x15cm, acryl, gold, resin, canvas. 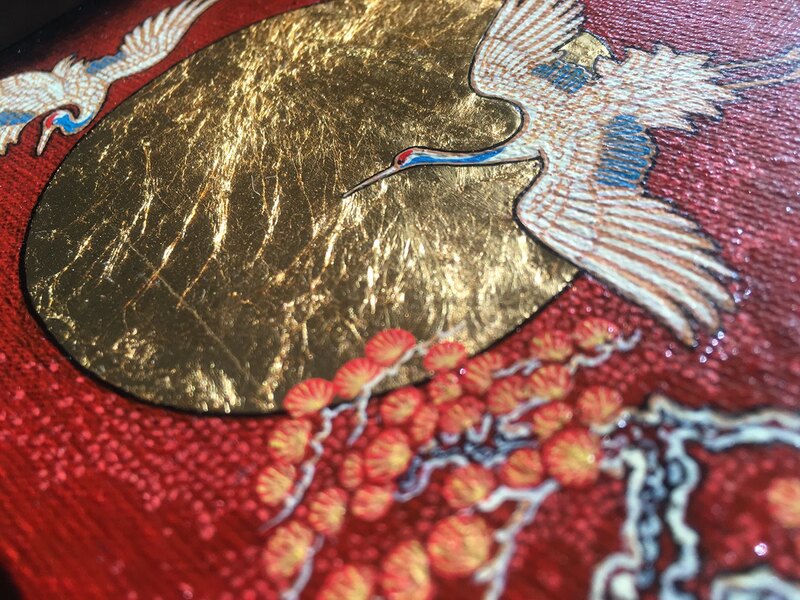 Author's replica technique on Japanese ukiyo-e style easel graphics. 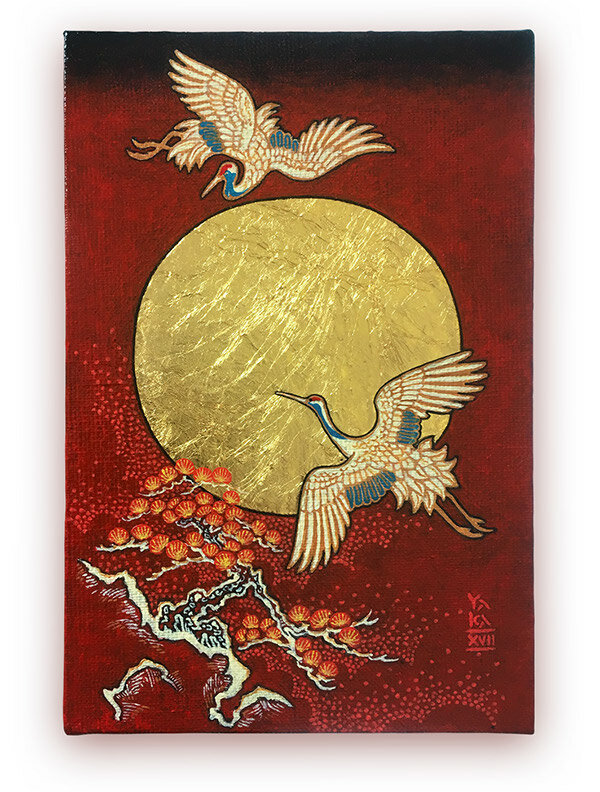 Ukiyo-e is a popular Edo era style and source of inspiration for all European painters of late 19th and early 20th century who worked in the style of cubism, impressionism, post-impressionism, such as Vincent van Gogh, Claude Monet and others.